Terrell C. “Terry” Madigan, attorney and managing member of Madigan Law Firm, P.L., is a member of the Florida Bar and a general practitioner providing legal advice, counsel and representation to a diverse array of area businesses, associations, governmental entities and individuals. He is licensed and admitted to practice in all state and federal courts in Florida and the United States Supreme Court. Practice areas for individuals and families include estate planning and probate, elder law, real estate, family law and general civil matters and disputes. For businesses, Mr. Madigan provides counsel in the preparation and negotiation of contracts, advice on regulatory, intellectual property, employment and other general business law issues as well as disputes. 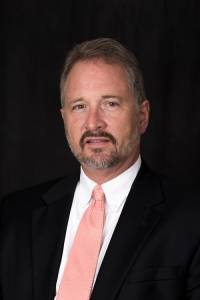 Mr. Madigan presently serves as General Counsel for the Leon County Educational Facilities Authority, and as a special prosecutor and outside legal counsel for the Leon County Sheriff’s Office. He has represented trade and homeowner’s associations and also clients in the area of campaign finance and elections law, having successfully argued before the Supreme Court of Florida to have certain provisions of the Florida Elections Code declared unconstitutional. In 2000, he represented one of the parties in several of the Presidential Election cases, in the trial courts and through the Florida and United States Supreme Courts (see C-SPAN video here and here). Mr. Madigan is a Florida Supreme Court Certified Circuit Civil and County Court Mediator, a AAA trained arbitrator and has been awarded and maintains an “AV” Preeminent Martindale-Hubbell® Peer Review Rating, the highest available rating. Mr. Madigan received his juris doctorate from the Florida State University College of Law and his undergraduate degree from Rollins College. He is a seventh generation Floridian and a native Tallahasseean, married with three children. The hiring of a lawyer is an important decision that should not be based solely upon advertisements. Before you decide, ask us to send you free written information about Mr. Madigan’s qualifications and experience. The information on this web site is not legal advice. That can only come from a qualified attorney who is familiar with all the facts and circumstances of a particular, specific case and the relevant law.